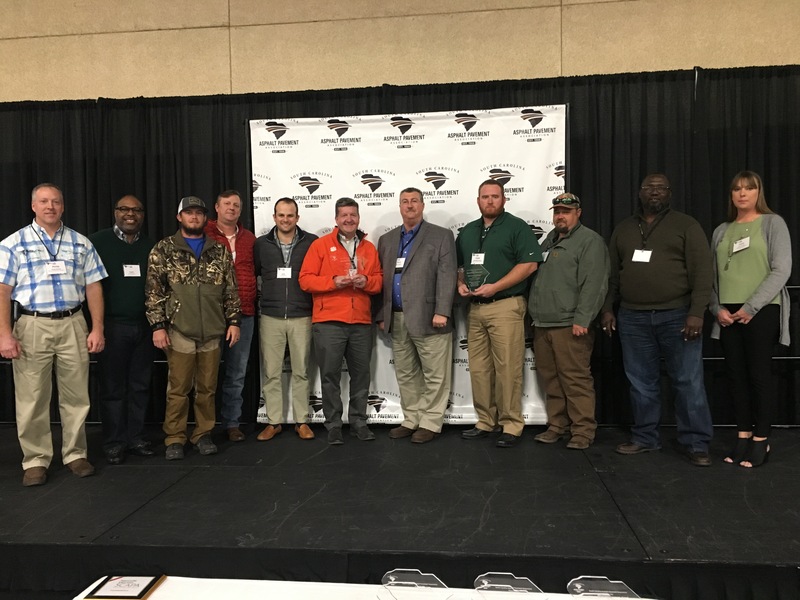 On January 16-17, 2019, folks from Banks had the pleasure of attending the SC Asphalt Pavement Association (SCAPA) Winter Conference at the Columbia Metropolitan Convention Center in Columbia, SC. We participated in conference events, perused the exhibit hall, and networked with other SCAPA members and industry professionals. 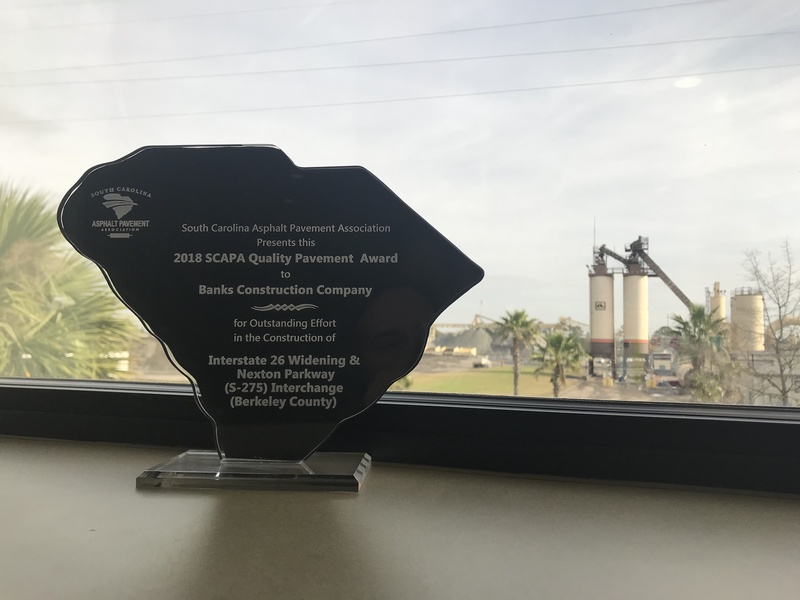 What we got the most pleasure from was being announced as recipients of two (that’s right, TWO) 2018 SCAPA awards! 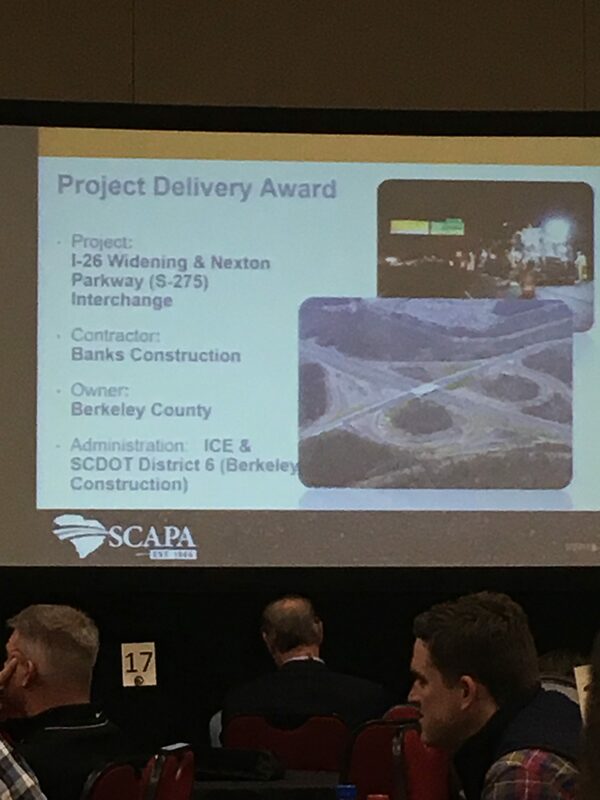 Selected statewide from projects completed in 2018, Banks Construction Company brought home awards for Project Delivery and Quality Paving, both for our Nexton Parkway Interchange project in Summerville, SC. 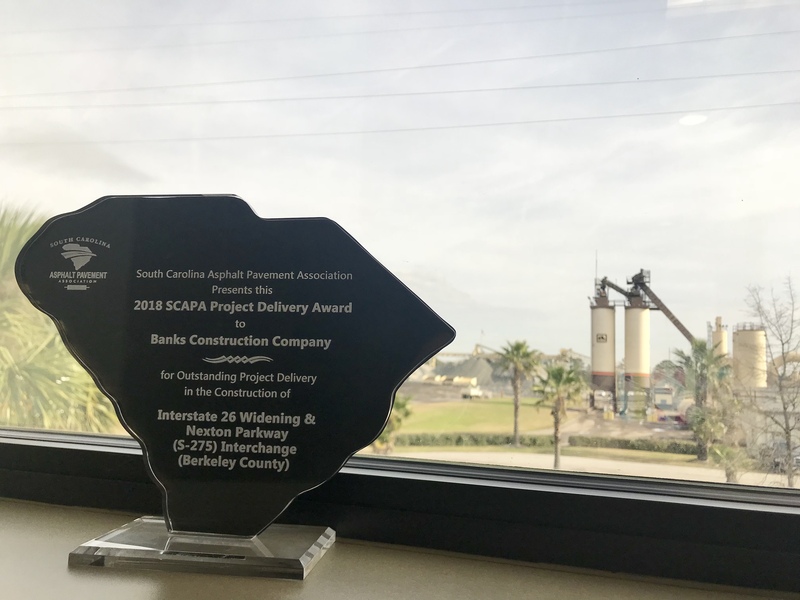 We know we wouldn’t have won these awards without outstanding partnership with the SCDOT, Berkeley County, the Town of Summerville, Infrastructure Consulting and Engineering, and countless subcontractors. We are proud of the work accomplished by an exceptional team!